Union Public Service Commission (UPSC) has issued a notification for the recruitment of Assistant Divisional Medical Officer, General Duty Medical Officer and other vacancies through Combined Medical Services Examination 2019. 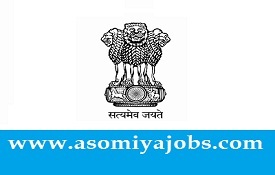 Read vacancies and all eligibility criteria in the interest of candidates Read the notification and apply online. Candidates applying for the exam should ensure that they meet all the eligibility Terms for admission in the examination their entry in all stages of the examination will be purely provisional subject to fulfill the prescribed eligibility. Last date:06th May, 2019 till 6.00 P.M.
General Duty Medical Gr.-II in East Delhi Municipal Corporation, North Delhi Municipal Corporation and South Delhi Municipal Corporation. Candidates are required to apply online by using the official Website. Brief instructions for filling up the Online Application Form have been given in the Appendix-II (A). Detailed instructions are available on the Official website. The Commission has introduced the facility of withdrawal of application for those candidates who do not want to appear for the Examination. In this regard, Instructions are mentioned in Appendix-II (B) of this Examination Notice. (i) The online Applications can be filled upto 06th May, 2019 till 6.00 P.M.